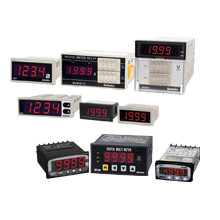 More convenient and reliable control in various environments. ขนาด : 48(H) x 96(W) x 73(D) มม. 3 1/2 digit 0.8 inch LED display. Dual slop A/D conversion, high anti-interference.